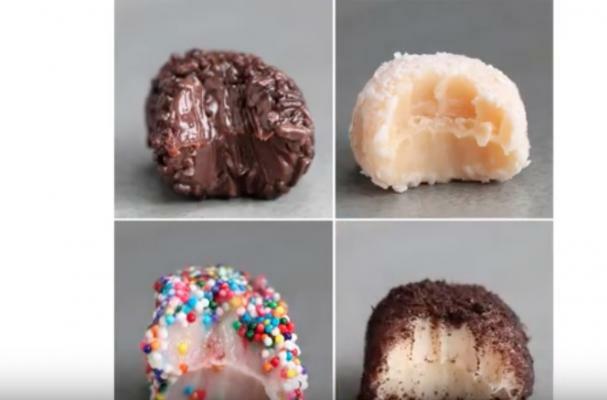 Brazilian truffles or brigadeiro is the easiest candy you'll ever make. A can of sweetened condensed milk is cooked with butter and flavoring (like cocoa powder, peanut butter, coffee, fruit puree) until thickened. The mixture is left to cool and then shaped into balls. The truffles are then rolled in sprinkles, granulated sugar, cookie crumbs or shredded coconut. I make two or three recipes at a time because they are so loved by my family. I haven't experimented with fruit flavored brigadeiro and was interested to try this recipe. For me, it was a success and next time will consider using passion fruit instead of strawberry as a base.